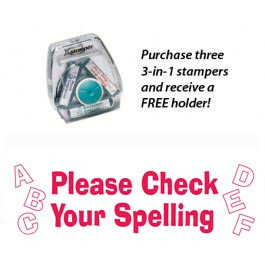 Speed up your written work marking with this important ' Check Your Spelling ' stamp. The stamp is a 'brick' which requires the holder shown to be used - it cannot be used independently. Add 2 other stamp bricks to fill the holder and the holder is included automatically. 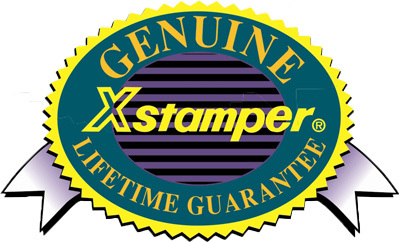 Quality guarantee: This Xstamper has a guarantee against all defects for the lifetime of the stamp during normal conditions of usage. I have a holder so need the brick only.